Bread and mixed vegetable bhajias or pakoras | Authentic Vegetarian Recipes | Traditional Indian Food | Step-by-Step Recipes | Give Me Some Spice! Most families tend to buy a variety of bread whist shopping and find that it either starts to go stale or gets very dry and hard and it ends up either in the bin or gets fed to the birds. I am one of those people who hates waste and am always trying to use up sliced bread to make sandwiches. I experimented with this recipe a number of years and now is a favourite . 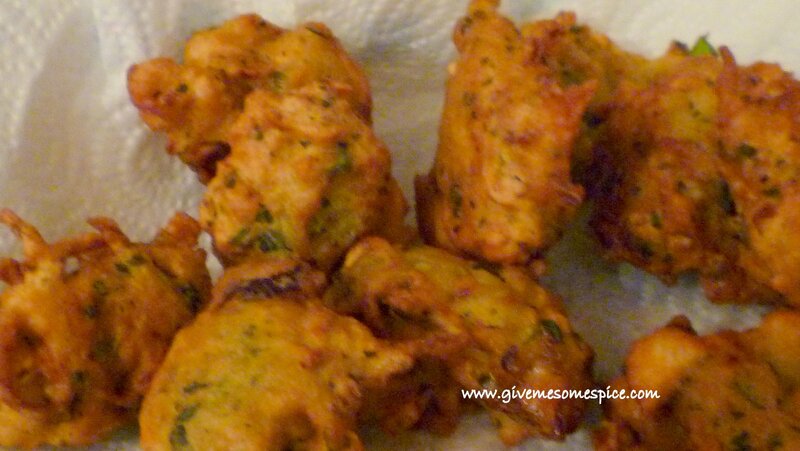 Bread and mixed vegetable bhajias or pakoras recipe works best with leftover bread of any kind. The seeded bread is the best as it gives the bhajias a unique flavour. 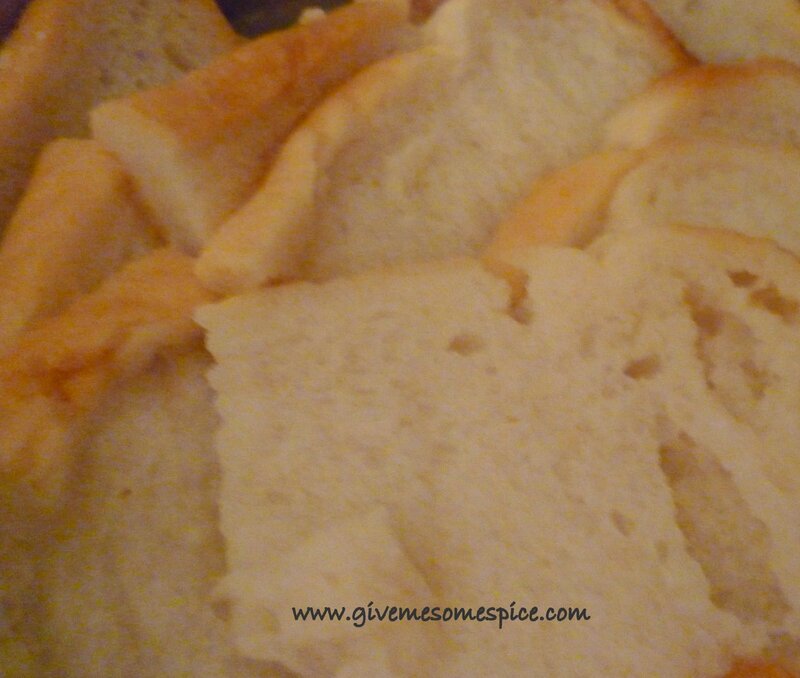 Bread 6 slices of any bread or 3 to 4 rolls . Small bunch of spinach or fenugreek (methi) finely chopped. 2. Prepare the vegetables. 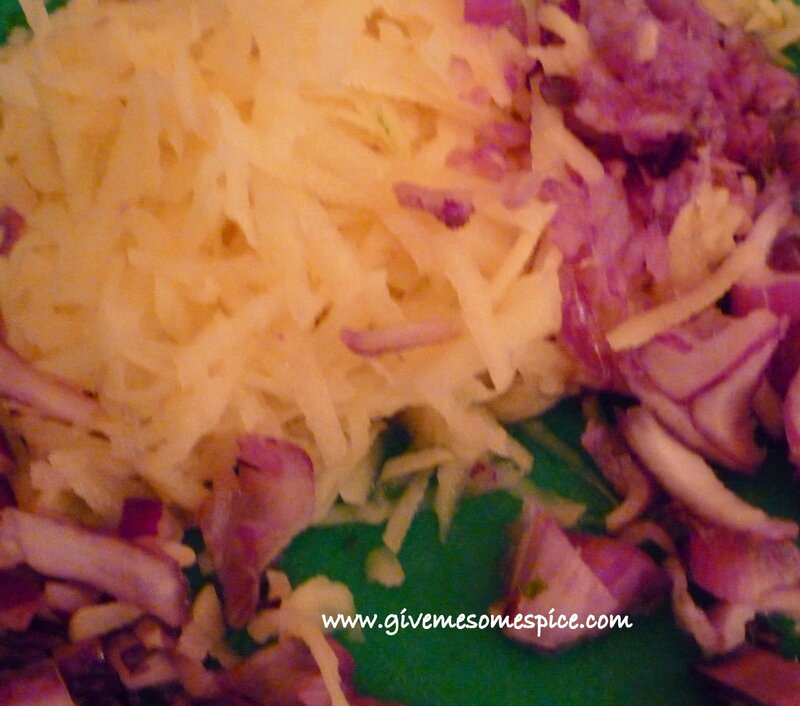 ( you can use almost any vegetables – I’ve tried this with marrow, apple and even carrots). 3. Transfer the bread from the water into a colander and remove as much water as possible by gently pressing the bread. 4. Mash the bread by hand in a mixing bowl. 5. Add in the grated onions, potatoes, spinach or fenugreek, chillies and the dry spices such as ajwain, coriander, salt and turmeric. 6. Mix all the ingredients. 7. Add in the chickpea flour – just enough to make a manageable batter. 9. 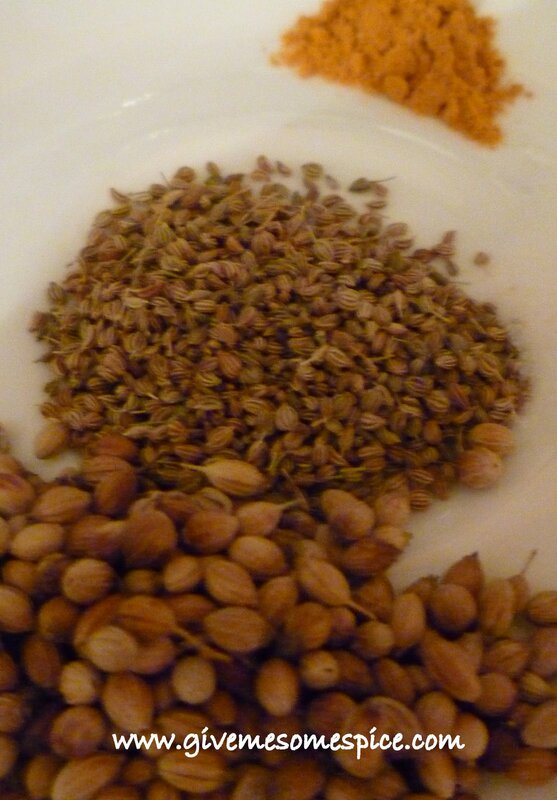 Drop spoonfuls of this mixture into the hot oil. 10. 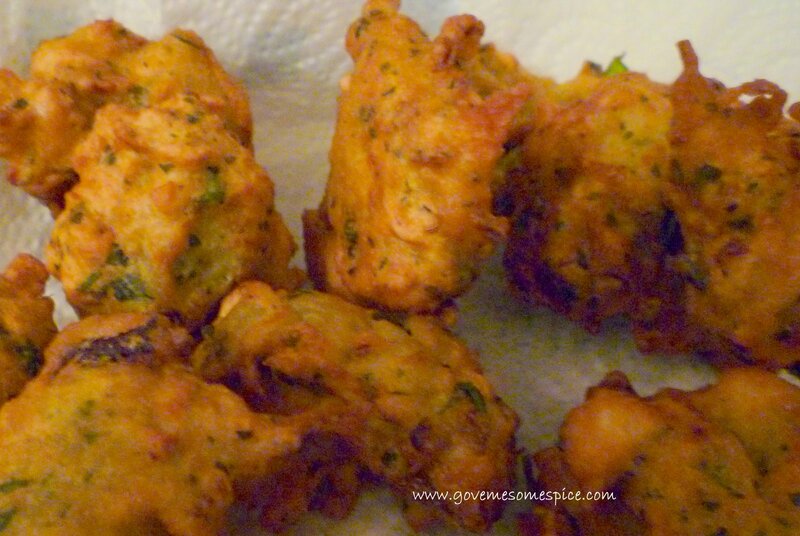 Fry on medium heat until the Bread and mixed vegetable bhajias or pakoras look golden brown. The Bread and mixed vegetable bhajias or pakoras should be crispy on the outside and soft and fluffy on the inside. 11. Serve hot Bread and mixed vegetable bhajias or pakoras with any chutneys or ketchup or a nice cup of Indian Spicy Tea. 12. These Bread and mixed vegetable bhajias or pakoras can be served as a starter or can also be eaten as a snack. Mixed vegetables and Ciabatta bread Bhajias – Fritters.